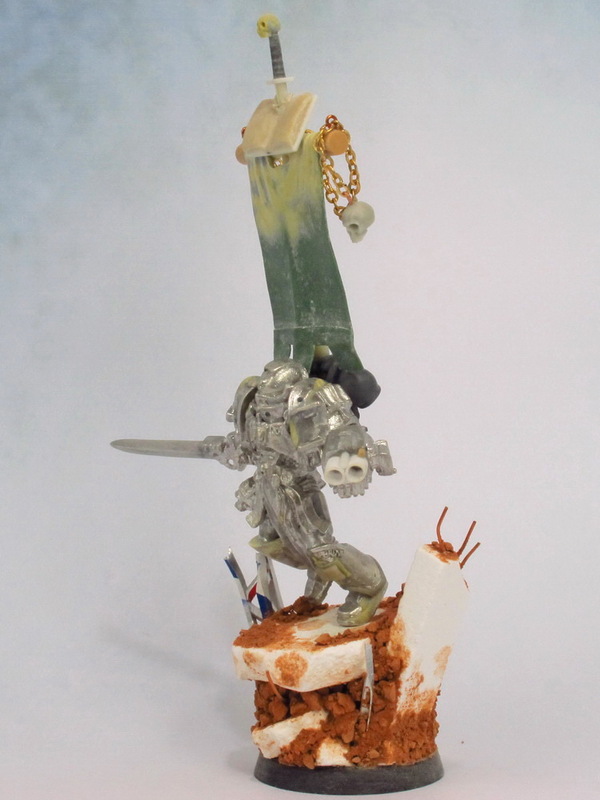 It was converted from Grey Knight Brotherhood Champion, by sculpting the details on the shin armors and right shoulder with Milliput. 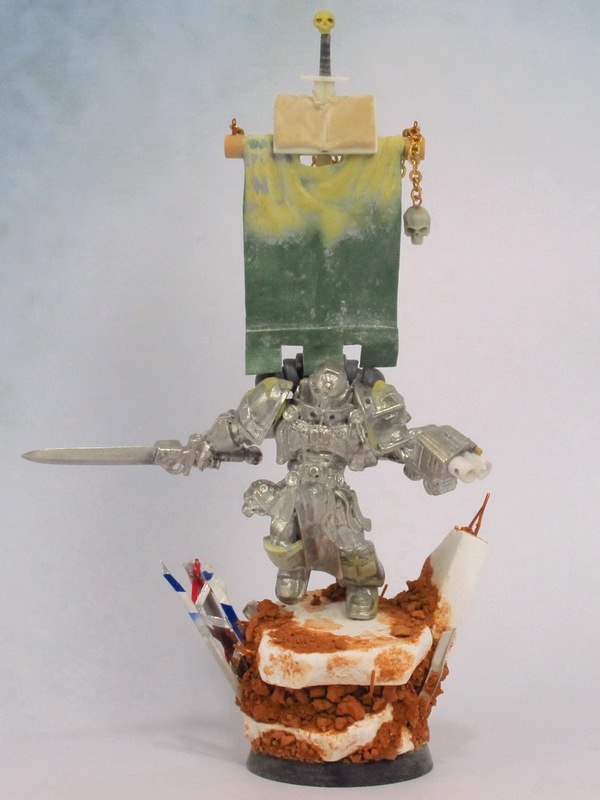 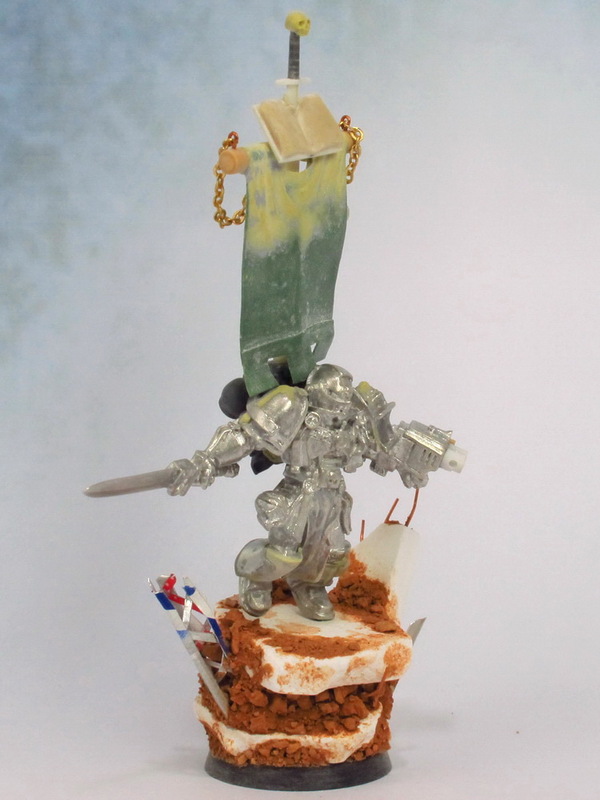 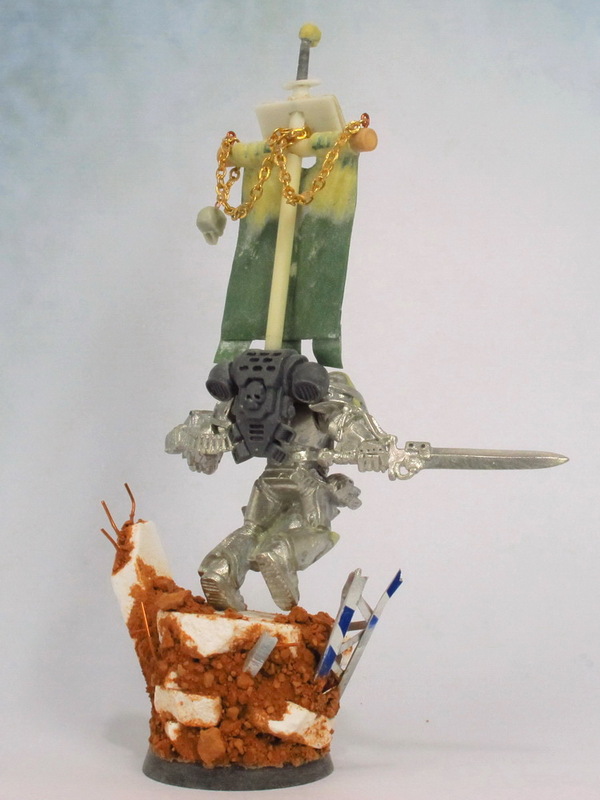 The banner was made from Green stuff, Milliput, plastic rods and decorated with a skull and small necklace in order to make it looks attractive and consistent with the image of The Grey Knights. 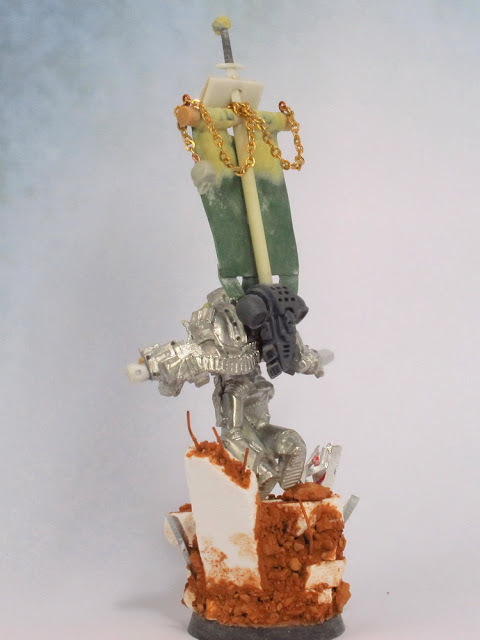 The base was made from plaster with a pieces of brick, sheet of aluminum and copper wire.